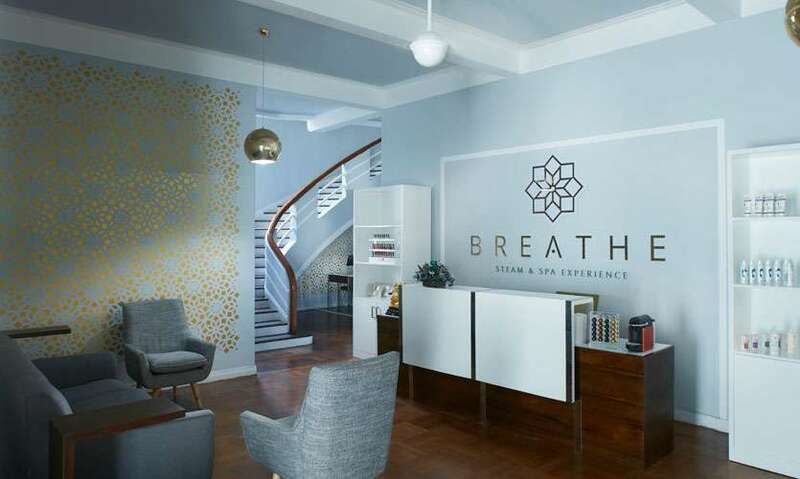 The Breathe Day Spa is a brand-new nail and body spa located at Cambridge Terrace that opened its door a mere month ago. It’s been a stressful month for us so we dropped by for a spot of pampering and here’s what we thought of what they have to offer! As we first stepped into the Spa we were greeted warmly by the staff and ushered immediately to a small reception area to confirm our appointment. We were then given a small application to fill with our details and another form to take note of our preferred style of treatment. The form is pretty basic, just a few average questions on whether you are suffering from any illnesses or body pains that they should be aware of and the kind of pressure you want from the massage and the specific areas to focus on. Once you fill in the application, they will take you into a corner for a quick foot scrub and let you slip off your shoes into their comfy spa slippers before leading you to your treatment. This is a value-added service they give to all their guests whether you are booked in for a simple pedicure or a massage. We booked ourselves for a Full Body Lava Shell Massage and a Steam Pedicure. Breathe Day Spa offers guests 6 different kinds of massages; Signature, Couples, Pre Natal, Pain Relief, Foot Reflexology and Thai Yoga and nearly 10 different kinds of add-on ceremonies that can be coupled with the massage like Gold and Pearls, Skin Brightening, Anti Cellulite, Radiant Stone, Warm Bamboo, Aromatic Candle, Lava Shell, Ear Candling and so on. We chose their 60-minute Full Body Massage with Lava Shell as an add-on at Rs. 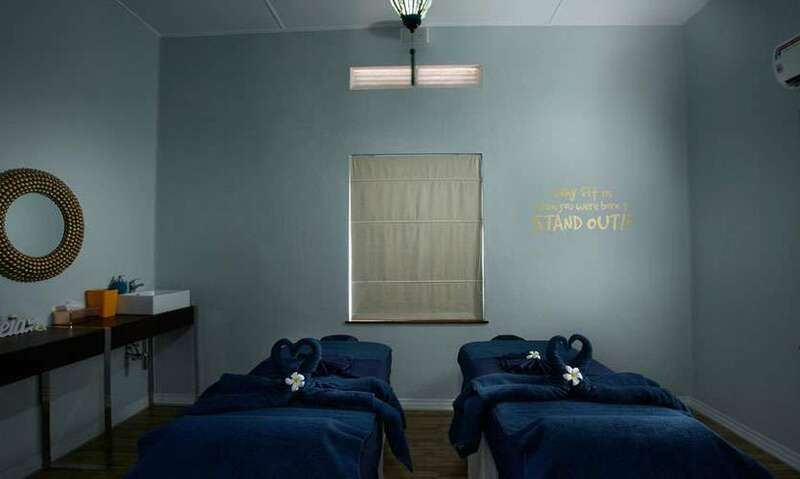 7500 (Rs.6000 for the massage and Rs.1500 for the Lava Shell). 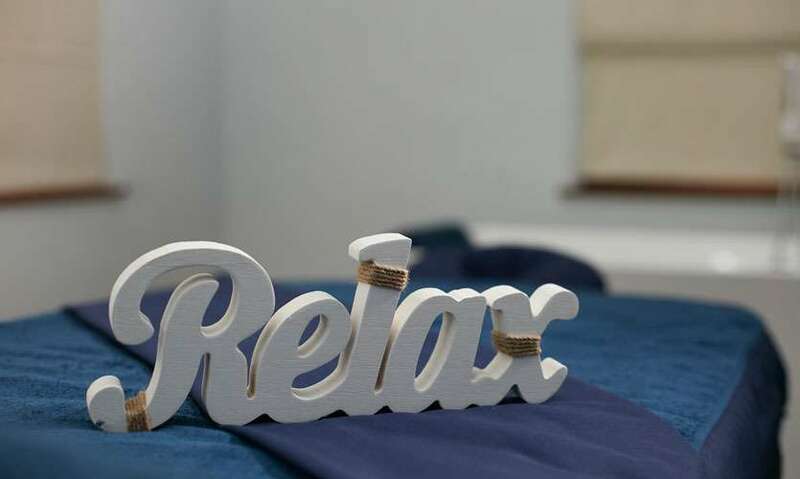 We were ushered into a private room upstairs that had all the makings for a relaxing session; blackout curtains, aromatic scenting, light relaxing music and a soft comfortable spa bed. We started our session with a quick massage. We instructed our masseuse to pay more attention to the back and the shoulders so she quickly went about massaging the tension out of those areas. The highlight of the massage is the Lava Shell which is very close to a Hot Stone as it is also a type of heat treatment. The Lava Shell massage essentially uses Tiger – striped clam shells as a massage tool that is heated by inserting an activator liquid into the shell. The shells give off calcium ions when it is heated and gets transferred to your skin during the massage so it regenerates the skin. But most importantly Lava Shells are really great for those of us with tense muscles because it relaxes and smooth away any knots. Our masseuse, Pui, was absolutely amazing. She alternated between using her hands and the lava shells and in no time had our muscles turning into jelly. The masseuse uses the narrow edges of the shell to work out the tensed muscles while the smooth surface is used to stroke and massage. The heat from the Lava Shell really does help relax any tense muscles and felt absolutely amazing on our backs as it was at just the right temperature. Between the heat of the Lava Shell and her hard kneading exerted with just the right amount of pressure, our aches and pains were history in no time! Once we finished our massage we were ushered into begin our 60-minute Steam Pedicure (Rs. 3500). The Steam Pedicure starts with a sanitization process and foot sauna and then move onto shaping, cuticle work, scrubbing, foot filing and finishing off with a massage and polish. We start out pedicure with the application of a Moroccan sea salt on the foot and the calf which is then wrapped in a warm towel and placed into a wooden steam sauna basin for around 15-20 minutes. The salt allows your skin to soften while it steams. While we waited we were served a warm detox tea and biscuits, another value addition that we were impressed with. Once we finished steaming we were taken to the pedicure area with comfortable seating for us to relax on while our feet get filed, scrubbed and massaged. Our pedicurist was very diligent, taking her time to file our nails, scrub and exfoliate, shape and polish and massage our foot and calves. It was extremely relaxing, save for the 10-minute panic on what colour you want painted on your nails! 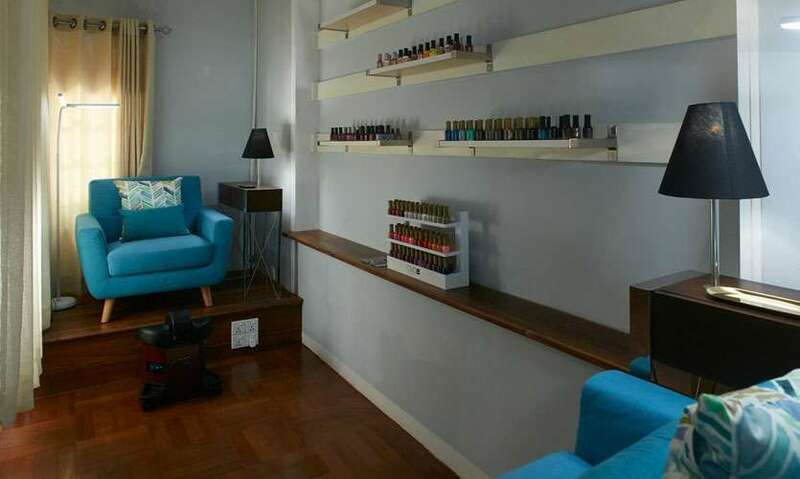 They also offer other different kinds of Pedicures and Manicures including Gel, Japanese, French and Facials. Breathe Day Spa has undoubtably some of the friendliest staff you can find in a Spa. They went out of their way to make our sessions comfortable and relaxing and we barely felt 2 hours pass by. They were extremely professional and well trained in their specialty and their warmth and friendliness allowed us to relax and let ourselves be pampered. Special thanks to our masseuse Pui who managed to cure away weeks of painful backaches and stiff shoulders in an hour! 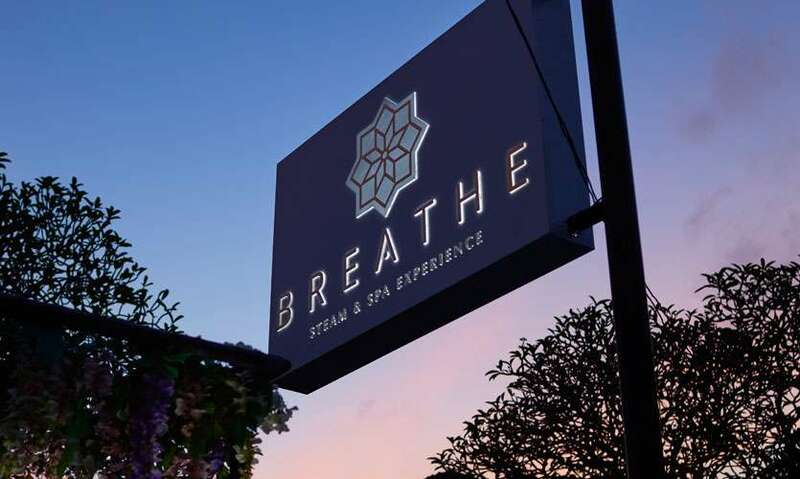 Overall, Breathe Day Spa really impressed us. We often find Spa’s to be ridiculously expensive but we were relieved to finally find a Spa that won’t leave you broke for the rest of the month after a session. Not only are their sessions priced reasonably, but they are also fully worth the price you pay. From our experience with the full body massage and our pedicure, they certainly made us repeat customers! 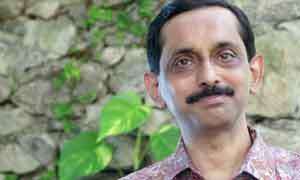 The place itself is chic, spacious and extremely clean. From professional, friendly staff to services that are worth your money – we recommend the Breathe Day Spa wholeheartedly for anyone looking for some good pampering. Law undergrad and occasional Aunty. Foodie, travel enthusiast and full time dog mom.